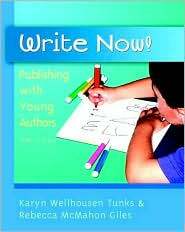 Professors Karyn Tunks and Rebecca Giles are co-authors of Write Now! It is never too soon to start children on the road to successful writing. We can, and should, work with even the youngest of writers to begin them on the journey from scribbles to letters, to words, to sentences, to purposeful writing. Write Now! offers a practical, proven pathway for encouraging and supporting early writers through publishing and celebrating their work using four key strategies to get them underway. Dictating Oral Anecdotes helps children see how speech and narrative are connected to writing. Translating Kid Writing gives young writers their first taste of composing and an opportunity to take risks with writing. Creating Cooperative Chronicles introduces children to revising and editing through the energy of group work. Encouraging Independent Authors brings it all together for writers first on-their-own writing experiences. From sharp ideas on setting up a classroom full of oral and written language and learning centers where young writers can flourish, to tips on watching for key developmental markers, to information on working with English language learners, introducing genres, and organizing individual student projects, Write Now! has everything you ll need to launch children into a lifetime of writing. There is no better time to start young children writing than today. So whether you re a new teacher looking for an effective way to teach writing or a seasoned practitioner interested in a philosophically sound approach that s adaptable to a wide range of abilities, start reading Write Now! 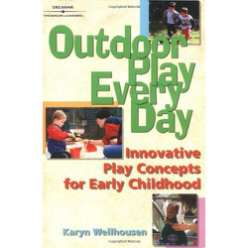 Outdoor Play, Everyday: Innovative Play Concepts for Early Childhoodpresents information not readily available to early childhood teachers. While safety of children is placed first and most, the text goes far beyond the playground as a means of providing outdoor experiences. Outdoor play is viewed in a wholistic manner and thus a broad range of opportunities for learning and play are covered. Specific assessment techniques for analyzing children's growth in an outdoor environment are introduced in detail with relevant examples, with attention given specifically to primary grade children. Children of varying ages are distinctly different in their cognitive thinking and physical abilities, as plans for their outdoor play should be made accordingly. Outdoor play is as important at home and in the community as it is in school settings, yet often there is a lack of safe places and appropriate supervision. These important issues are also addressed, as well as issues such as gender, socio-economic background, and ability in relation to outdoor play. As an important aspect of childhood, ideas for making outdoor play accessible are also well-presented. This text provides a fresh and holistic look at the continued relevance of block play to today's children. Students of early childhood education will benefit from the current research, theory, strategies and examples of block play and related topics that are the main focus of this text. 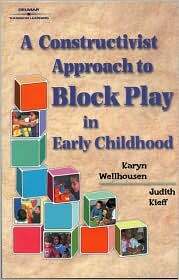 A complete history of block play in early childhood education leads the student to current research on brain development. 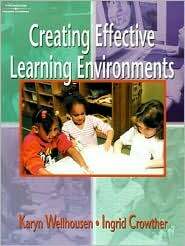 The text links block play to learning by exploring brain-based research and constructivist theories of learning. The role of the early childhood teacher is fully explored, including organizing the classroom, providing blocks and other materials, and documenting the children's learning.